Ubisoft Quebec has revealed a lot about this new entry, but if you want to get closer to its mysteries, this is what you should be thinking about. Video editor Leo Vader walks through three distinct ways you can play. We explore how Assassin's Creed Odyssey is embracing myths and fantasy. These powerful vessels will test your naval warfare skills. 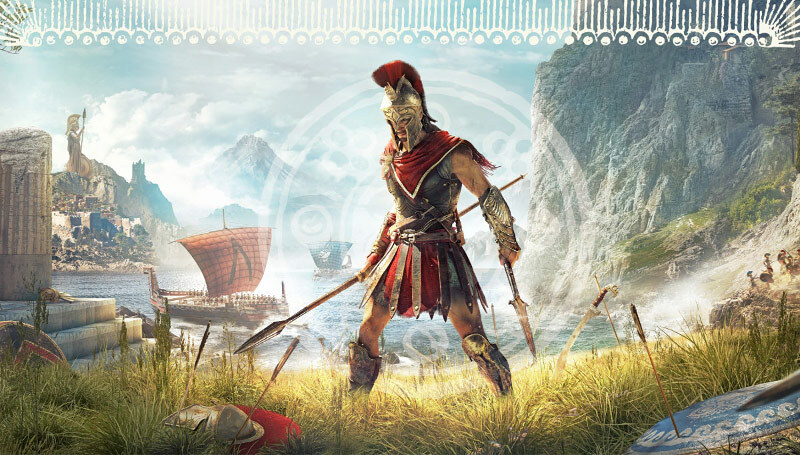 We’ve got a variety pack of interesting quotes, bits of info, and other fun things that AC fans are going to want to know about the upcoming Greek adventure. In this exclusive video, Creative Director Jo Dumont details enemy recruitment and how it feeds into the naval gameplay. Ubisoft Quebec is expanding on players' activities by layering in a variety of new, interconnected systems. The world is teeming with freelancers, and Odyssey’s new loop of finding, fighting, and recruiting (or eliminating) them could be the game’s most enticing feature. Watch Game Director Scott Phillips open up about everything from hidden blades to elephant murder. We knew Ubisoft Quebec was taking the series in an unprecedented RPG direction, but our 14-page cover story shows just how deep those changes go.